Let me tell you something about my church- it's a place where you can find a home. When I was a little sophomore at the University of Georgia, I was very much in need of a home. I was very involved at the Baptist Collegiate Ministries, and had a church that I attended on Sunday mornings. However, my involvement at my local church did not extend past my attendance on Sunday mornings and brief period where I worked with kids every other week. I wanted a place where I could find genuine community. I needed a place where I could grow and be discipled by women older than me and also have the chance to pour into other little sisters. So on a whim, I decided to visit Watkinsville First Baptist with some friends one morning. I knew that it was the place where all the cool Baptists went a popular choice among my other Baptist friends, but I had never gone to see for myself just what all the hype was about. As soon as I walked through the doors, I felt like I had come home. There was this indescribable feeling of peace and belonging. I knew that this place was special. Now, as a woman in her mid-twenties, I've come to see just what that special something is that WFBC has. WFBC does not have the coolest technology or the most modern set design. It is not known for its hipster pastor or great breakfast on Sunday mornings. No, my church is so wonderful because of the palpable community and humble leadership. My pastor is one of the kindest men you'll ever meet. He is soft-spoken and kind when speaking with you one-on-one, yet passionate and zealous behind the pulpit. He brings the word every. single. Sunday. Watkinsville has been such a gift to me. I have so many memories there- sitting at Ms. Carla's feet each Wednesday night for college girls' Bible study, road tripping with friends from my Sunday school class, holding sweet kiddos during VBS, and laughing till my sides hurt with my girls from youth group- to name a few. 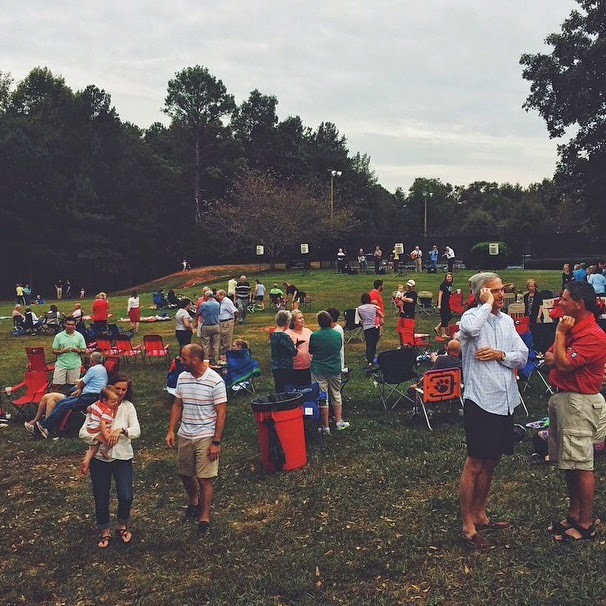 Thank you, Watkinsville, for being a church that ministers to and speaks into the life of so many people of our community-from generation to generation.